1970s-era musical based on Book of Matthew opens Friday, March 9 in Corbett School complex. For their latest show, Corbett Performing Arts Club actors have practiced Saturday morning calisthenics. Each actor is on stage for the entire show of "Godspell," which opens Friday, March 9, in Corbett School's Multipurpose Room. "We are always engaged and part of each story being told," says Willow Lakey, a Corbett sophomore and ensemble member. "After rehearsal we're pretty exhausted because we've been in character for two hours." Director Katherine Zieman and the Corbett Performing Arts Club selected the musical because of its message of kindness, celebration of diversity and example of being one community. Stephen Schwartz's "Godspell" is composed of various musical parables from "The Gospel According to Matthew." In the musical, Jesus Christ recruits a group of followers and teaches them various lessons through song and dance. Toward the end of the second act, the show begins to follow a more linear narrative as Jesus is betrayed by Judas and eventually crucified. "It's interesting because we're in a small community," says freshman Ryan Bunnell, who plays Jesus. "It'll resonate with the people who live here. We are tight-knit and work all together equally. Everyone knows everyone." Lakey notes how the comedy and universal lessons of "Godspell" are relatable for both religious and non-religious people. "You don't have to be a certain way to be peaceful and have a close group," she says. Corbett Performing Arts Club's production features a cast of 15 and a crew of seven. Three cast members from the club's 2009 production have returned to help on the production because they had enjoyed it so much 11 years ago. "I hope audiences will come away more thoughtful and mindful in their interactions with others in the world," Zieman says. 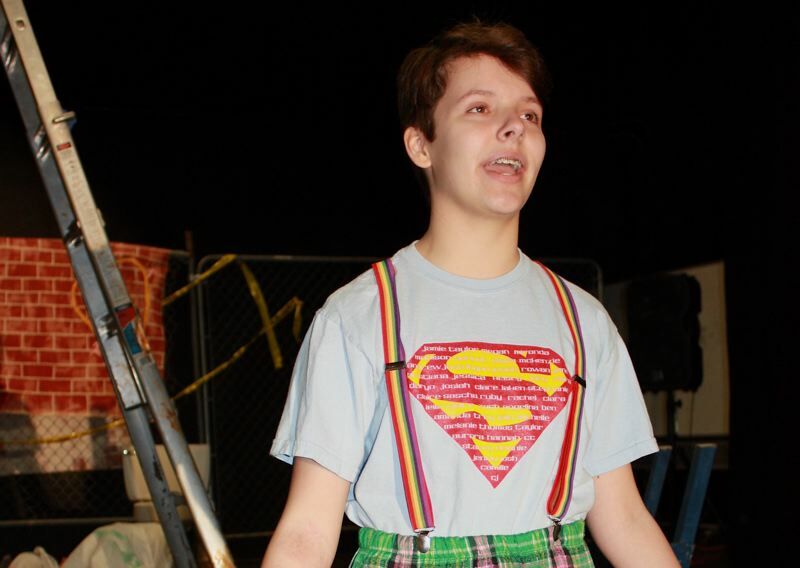 What: Corbett Performing Arts Club presents "Godspell"